Brent Community Transport recently celebrated 40 years of providing services to the local community at our recent Annual General Meeting held at the iconic Wembley Stadium. Unfortunately, it wasn’t quite at its 80,000 capacity but the Pitch View SE Conference venue was more than fitting for this momentous milestone in the life of BCT. Our Chair, Moses, started the proceedings by talking about BCT’s humble beginnings: operating from the home of its first full-time staff member using a single battered Transit minibus! As early as 1975, BCT didn’t see itself as only a provider of affordable transport for vulnerable people such as the homeless or those with disabilities; it also provided resources such as a community care scheme, Dial-A-Ride, a removal service and a community garage. In 1975, BCT secured a grant to purchase newer though not brand new transits, causing the fleet to swell to a whopping three minibuses! As time passed, our fleet and our staff grew significantly larger. Our 40-year celebration was attended by the Community Transport Association’s Chief Executive Bill Freeman (who gave the key note address); the Mayor of Brent, Councillor Lesley Jones MBE; and representatives from organisations such as Harrow CT and Barnet CT. We were also pleased to have other guests including a range of our service users, both individuals and organisations. 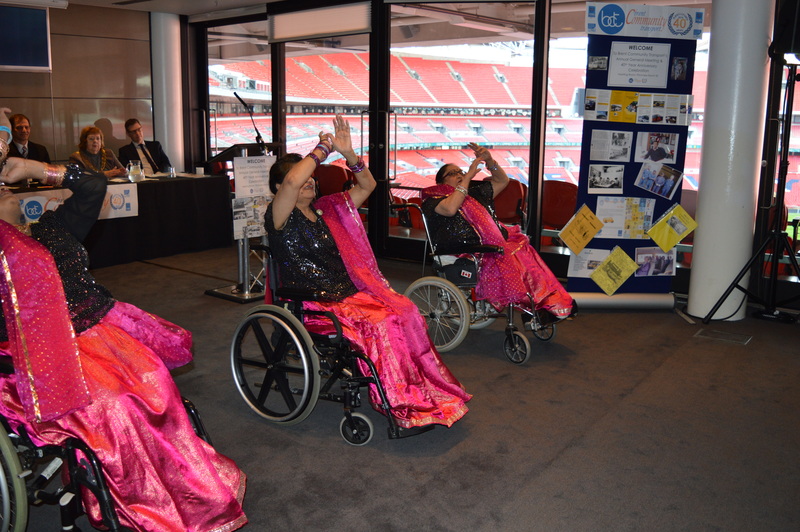 To add to the celebrations dance group Muskaan (members of the Asian People’s Disability Alliance) put on quite a show! We really are so proud of all the work that we’ve done since we started all those years ago. 40 years of service is a wonderful achievement and it’s only been possible because of staff, past and present, who have been committed to helping vulnerable people in our communities. We’re going to continue to build on our community ethos and face the challenge of tomorrow, together. The ongoing success of BCT, particularly in the last two years, has been due in part to the continued support of the Management Committee who have worked closely with all of our staff; we’d like to thank them for what they do for us and our community. Thank you to everyone who came along to our event to celebrate our last 40 years. Here’s to 40 more!